Yes, every state except New Hampshire has specific, legally-required auto insurance madates. Even New Hampshire, however, requires car insurance for drivers that have been convicted of a DWI or certain other violations. Requiring every driver to maintain auto insurance helps keep roads safer and increases the likelihood that, if someone else causes an accident involving you, they will have some financial resources to compensate you for any injuries or property damage they caused. Can I really find cheap insurance online? Absolutely! One of the fastest, easiest ways to get the lowest rates on car insurance is by shopping around online. Every car insurance company uses its own formula for assessing drivers, meaning that you could get quite different rates from a given group of insurance companies for exactly the same level of insurance coverage. The Internet provides the fastest way to get multiple quotes at the same time. CarInsuranceQuotesComparison.com makes it super easy -- all you need to do is enter your zip code to get a list of insurance companies that can give you fast, free quotes any time of the day or night so that you can start comparing rates and find the cheapest insurance that offers you the most value and features. Yes, most quotes are free. In fact, if you find a car insurance company that tries to charge you for a quote, run the other way as fast as possible! Any high-quality auto insurer does not charge for quotes. Where can I get quotes online? You can start right now by using our handy search feature! All you need to do is enter your zip code. This will take you to a list of several competitive car insurance companies in your area. 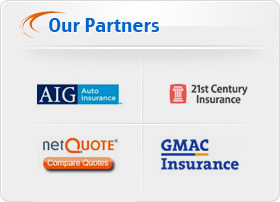 All of the companies we partner with are chosen because they represent the best quality providers in the auto insurance industry. Each company has a separate window that opens and presents you with a quick form to fill in for your free quote. You can quickly compare up to eight car insurance companies all at once, in less than an hour. When should I get quotes? 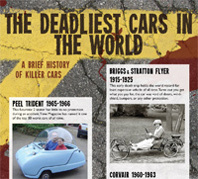 Some people think that, as long as they keep their current vehicle, they do not need any new insurance quotes. We recommend that you get new quotes every year when your policy comes up for renewal. Why? Because car insurance companies do not give any discounts for loyalty. In fact, they reserve their lowest rates for attracting new customers. Existing customers will see their rates slowly increase over time, so it's best to check for cheaper rates once a year. Additionally, if you receive any tickets or other marks on your record, check around and see if you can get cheaper rates with companies that specialize in drivers with less-than-perfect records. In some cases, the savings can be quite substantial. Shortening your work commute, moving to a different zip code and improving your credit score are also times to get new insurance quotes, since each of these things can change, and hopefully lessen, your risk profile and car insurance costs. Do I have to tell insurance companies about my traffic violations? You certainly do not have to, but any insurance company will request your driving history from your state's DMV before they write you a policy, so you have nothing to gain from trying to withhold information. However, if you receive a ticket and have a chance to attend traffic school or fight the ticket in traffic court, you do not need to tell your insurance company. They only care about points that actually make it on to your driving record. Insurance companies typically re-run your driving history when they renew your policy, so keep tabs on your insurance rates. If you have a new violation but your rates do not increase, you may have gotten lucky! If your rates do go up, it's time to start shopping around. Does it matter what address I use for quotes? Yes, it matters to the insurance company. If you give an address that is not correct, and then later need to file a claim, the insurance company could have grounds to deny your claim because you gave false information. Additionally, insurance rates are based on zip codes, so you could potentially increase your rates without knowing it if you give an address that is different than the location where you keep your car. How do auto insurance companies determine quotes? Every auto insurance company has a team of experts that analyzes reams of statistical data, feeding it into complex algorithms that calculate the probability of people getting into car accidents. When you request a quote and supply your personal data, each insurance company compares it to decades of driver statistics and calculates the chances of you getting into an accident, and how much it would cost them to pay for it. The insurance companies consider your age, gender, driving commute, type of car, years of driving experience, driving history (tickets and other violations), whether your car is garaged and in some cases, your credit history. Is car insurance the same in every state? No, because every state regulates its own auto insurance which means that legally-required coverage limits vary from one state to the next. Additionally, the accident rates, driver demographics and other factors vary among states. This makes some states riskier to drive in than others, which drives up these states' car insurance rates. How different are average car insurance costs by state? They actually vary quite a bit. If you happen to live in New York or New Jersey, you will probably pay one of the highest rates in the nation for car insurance. The average annual cost of car insurance for New York is $2,771 as of January 2012. New Jersey comes in at $2,283, as compared to the national average insurance cost of $1,450 per year. If you happen to live in Iowa or Vermont, count yourself lucky, because these two states have the lowest car insurance costs, at $803 and $878, respectively, for the year. These insurance rate averages are based on quotes for full-coverage insurance, which includes liability, comprehensive and collision coverage.